These classic cruisers have such a grand reputation and have done some incredible passages. Numerous tales are documented by their dedicated owners. The "Longboat" is a full keel cruiser designed by Bruce Roberts who has been responsible for countless people entering the boating market and following their dreams. "Blue Bird" was launched in March 2004 having been professionally built and has been with the same owner for the majority of her life. With a cruising speed of 6 knots using approximately 2 lts / hour a days outing would be most economical. 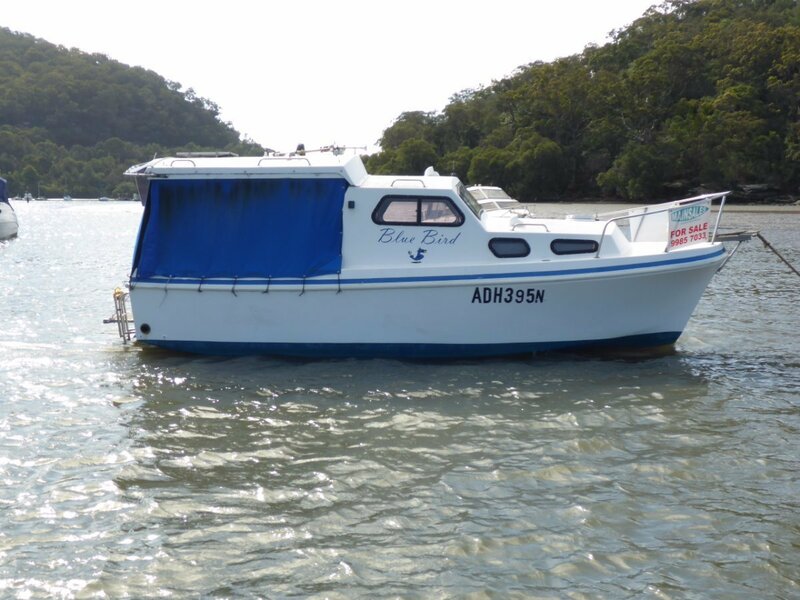 Powered by a 31 hp FWC Sole 4 cylinder diesel engine, shaft drive swinging a 3 blade propeller, sleeps 3, lockable cabin, 2 burner metho stove, solar shower, enclosed toilet, 27 lts of fuel, 60 lts of water, 2 x electric bilge pumps, twin batteries, 27 meg radio, Navman sounder, CD player, 12 volt lighting, life jackets, life ring, 2 x fire extinguishers, marlin board, boarding ladder, full cockpit covers, antifouled in September 2017 etc, etc. We invite you to call our office to arrange a suitable viewing time.